We’d like to invite you to join or renew your membership ! Members renewing their membership click here to pay dues at the Chamber online store, or contact the Chamber office for an invoice. 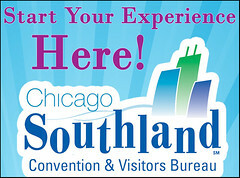 If you have any questions about membership, please contact the Chamber office or call 708-206-3384. Homewood, Flossmoor, Glenwood and the surrounding communities! This user friendly website offers you a free business listing along with the link to your business’ website. It provides your organization the opportunity stay top-of-mind with your customers on a more frequent basis. Membership provides your business, organization or nonprofit an HACC window decal and logo for your website. The Chamber is involved in many community events which provides an unmatched avenue for active businesses and professionals interested in networking and ultimately getting their name out in the community. As a Chamber member you are able to network your business at a Luncheon by being a speaker and also at Business After Hours that any member can host at their facility. The Chamber weekly newsletters will give you as a member the opportunity to inform our subscribers in the local communities of any promotions, sales, new products or services your organization offers. We “spotlight” members through social media and weekly newsletter. Learn from us through our Productivity Workshops how to develop your branding, expand your business “reach” and create trust. A Chamber Membership can boost your community image and increase your business. A recent national survey found that consumers are 63% more likely to buy from Chamber Members. Chamber membership brings many benefits; access to other local business owners and their experience and resources, heightening your presence in the area, and the many marketing opportunities provided throughout the year. Please contact the chamber office with your questions, or read below to find out how to join. Your Chamber, working for You! The Homewood Area Chamber of Commerce and the Lansing Area Chamber of Commerce have formed a membership alliance starting April 1st 2016 through April 1st 2017. Any member of the Homewood or Lansing chamber can join the other for a 50% membership discount. If they are a current member of both, they will get a 25% discount upon renewal from each chamber. Members of each chamber can attend the member luncheons for both chambers and receive the membership price of $15.00 even if they have not joined the other chamber. We are promoting good will between the chambers and hoping to help our members grow their business as well as grow both chambers. To learn of luncheons subscribe to the email newsletters found on each chamber website.